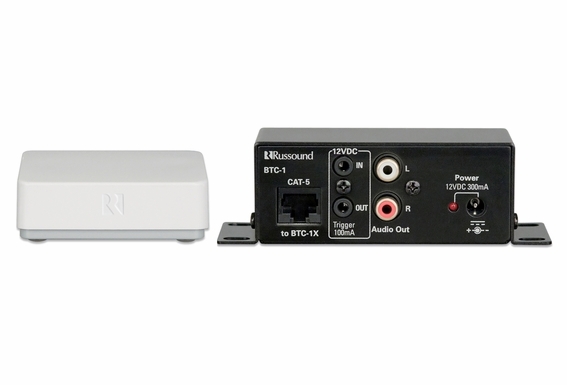 The BSK-1 Bluetooth® Source Kit enables a portable media player , smartphone, or other device equipped with Bluetooth® wireless technology to transmit audio content to any Multiroom audio system. The BSK-1 can be used as a global source for system-wide access, or as a Local Source for independent use by a specific room when used with a C-Series system. 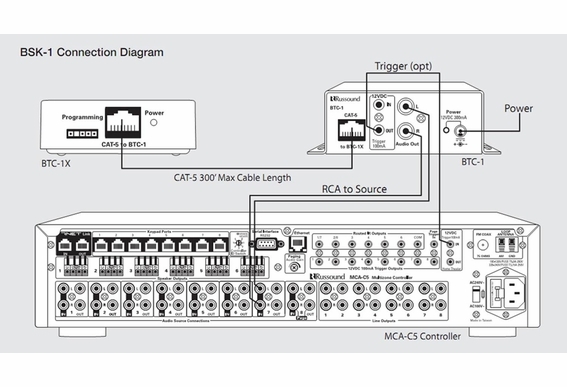 Local source use with C-Series controllers provides additional automation features automatically turning on the audio, selecting the BSK-1 source input and setting the volume in a room configured as the “primary Zone” via SCS-C5 software. 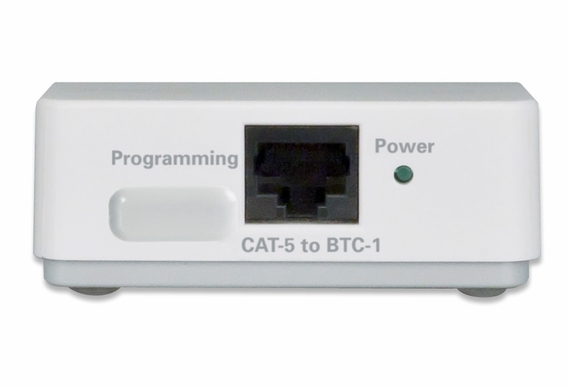 The BTC-1x Remote Transceivers is wired with a single CAT-5 cable up to 300’ allowing for optimum placement in different system environments. It also features a class 2 transceiver with a 49’ (15m) range and the Advanced Audio Distribution Profile (A2DP) ensures high quality stereo audio. 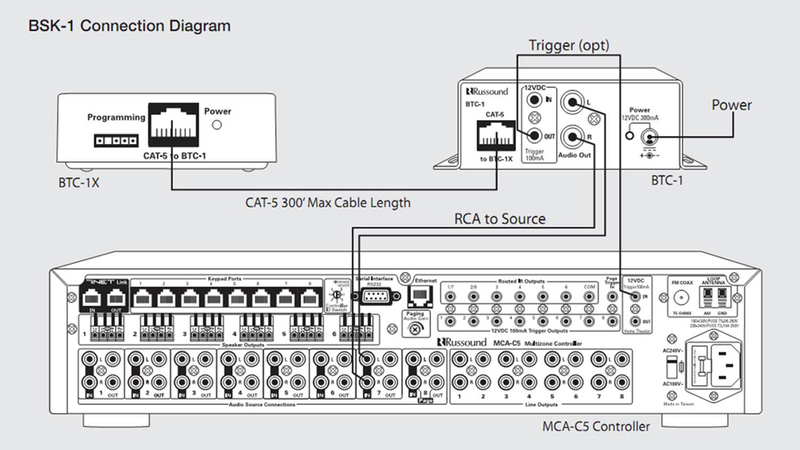 The BTC-1 serves as a streamlined termination point for power, audio and 12VDC trigger connections to the host audio system. Custom naming software* makes the BSK-21 easy to identify from your Bluetooth® equipped source device. Will ths system only work with Russound multiroom systems or can it be used with our multiroom systems sush as the breathe Audio?